Huh, here’s another cool Japanese-themed something or other today. This nasty devil-guy is brought to you by Djordje, whose entertaining something-or-others we’ve featured here before. 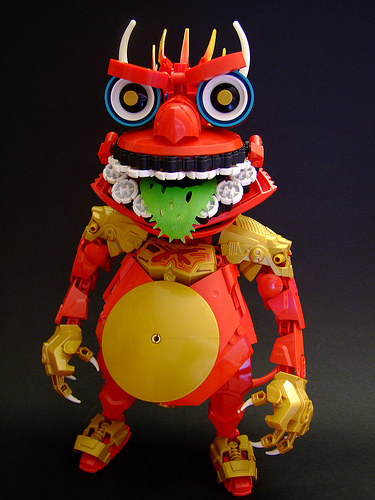 What makes Djordje’s Bionicle creations so engaging is their personality. In addition to using Bionicle and Hero Factory parts — just look at the Hero Factory logos he’s used as teeth! — to build more than Toas, Moas, and other such characters indistinguishable from official sets (every one with their own unique backstory, I’m sure), each of his characters has, well, character. Check ’em out.